US scientists say tracking data shows that five golden-winged warblers “evacuated” their nesting site one day before the April 2014 tornado outbreak. Geolocators showed the birds left the Appalachians and flew 700km (400 miles) south to the Gulf of Mexico. The next day, devastating storms swept across the south and central US. Watching lava fight with snow in Kamchatka [and] the result isn’t as straight-forward as you might think. A federal judge in New Jersey has signed off on the practice of law enforcement using a fake Instagram account in order to become “friends” with a suspect—thus obtaining photos and other information that a person posts to their account. A federal judge on Monday tossed evidence that was gathered by a webcam—turned on for six weeks—that the authorities nailed to a utility pole 100 yards from a suspected drug dealer’s rural Washington state house. US District Judge Jeffrey White heard arguments from both sides in his attempt to wrestle with the plaintiffs’ July 2014 motion for partial summary judgment. He went back and forth between the two sides, hearing answers to his list of 12 questions that were published earlier this week in a court filing. 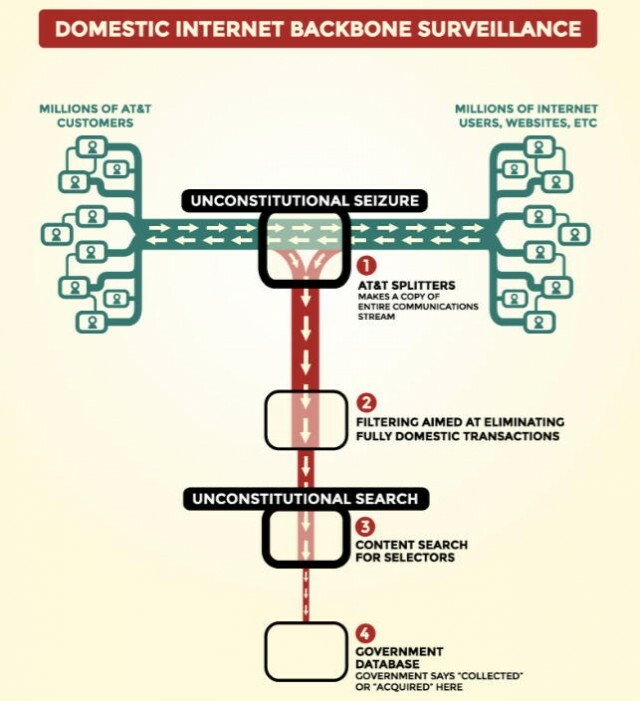 That July 2014 motion asks the court to find that the government is “violating the Fourth Amendment by their ongoing seizures and searches of plaintiffs’ Internet communications.” The motion specifically doesn’t deal with allegations of past government wrongdoing, nor other issues in the broader case. In a mesmerizing new video released by NASA, the full reentry of the Orion test space vehicle is chronicled — and it’s a phenomenal 10-minute ride from fiery reentry to sudden splashdown into the Pacific Ocean, all put to dreamy space music. In a paper titled “Changing bodies changes minds: owning another body affects social cognition” published in Trends in Cognitive Sciences, a European team of researchers examined the underpinnings of racism by recruiting participants for a virtual body swap. The office-supply retailer gave new details about a breach at more than 100 of its stores. Staples said Friday afternoon that nearly 1.16 million customer payment cards may have been affected in a data breach under investigation since October. American officials have concluded that North Korea was “centrally involved” in the hacking of Sony Pictures computers, even as the studio canceled the release of a far-fetched comedy about the assassination of the North’s leader that is believed to have led to the cyberattack. The highly destructive malware believed to have hit the networks of Sony Pictures Entertainment contained a cocktail of malicious components designed to wreak havoc on infected networks, according to new technical details released by federal officials who work with private sector security professionals. A critical Git security vulnerability has been announced, affecting all versions of the official Git client and all related software that interacts with Git repositories, including GitHub for Windows and GitHub for Mac. Because this is a client-side only vulnerability, github.com and GitHub Enterprise are not directly affected. 100Mbps Internet available to 59% of US, while gigabit still at just 3%. At the other extreme, 2 percent of Americans can’t even get 3Mbps. It wasn’t clear why Comcast blocked the HBO and Showtime apps on Roku boxes while allowing them on other hardware, such as the Apple TV. Roku complained about the situation to the Federal Communications Commission and was recently able to wring an agreement out of Comcast. This week I’ve been using the preview version of Microsoft’s Skype Translator. And it’s breathtaking. It’s like science fiction has come to life.